We’d love your help. Let us know what’s wrong with this preview of The Good People by Hannah Kent. To ask other readers questions about The Good People, please sign up. Does anyone have thoughts on the modern name for the illness that afflicted Micheal in this novel? I read through some of the references Hannah Kent put at the end of the novel and came up with 'hypothyroidism'. Just curious if I'm right or if Hannah herself has talked about it anywhere? I am looking for a really good cant put down book. Any thoughts? Kiki The News of the World by Paulette Jiles. If you like atmospheric writing that puts you truly in a place and great characters, it's great! ......,"Nora, I'm sorry for your trouble" is a phrase repeated many times by many of the different people in the community. The Irish speak funny! Ha! such as skib, spaniel, and rath, fios sigheog ( fairy knowledge), and the understanding of the use of different herbs for healing. Martin seemed to have dropped dead for no apparent reason at the crossroads where the village in County Kerry buries its suicides. Nora is grieving and upset - as you can imagine any wife who loved her husband would be. Until I read another friend's ( Peter), review of this book, I realized how little I knew about the history of Irish folklore and traditional superstitions which had been held by Irish people for centuries. woman who appears to or is heard by members of a family as a sign that one of them is about to die. Superstitions - curses - rituals - changelings- and herbal remedies are in the limelight of this story. I READ THIS SLOW.... and enjoyed it VERY MUCH!!! After Nora's husband died - her cabin was crowded with neighbors- and was oppressive. The smell was of wet wool and sourness of too many people. Frankly, Nora was sick of all those people in her house for two full days for the rituals of Martin's wake. I couldn't blame her. She has a 4 year grandson named Micheal whom she has been caring for since her own daughter died. Micheal can't walk or talk...( he once did). It's believed he is changeling. People believe the real Micheal was taken by the Good People. Nora tries to recover him from the fairies. A young maid - Mary Clifford- has been looking after Michael. She has her beliefs as well. Nance Roach -- who also tries to recover Micheal from the fairies is blessed with the knowledge of remedies and the ways of "Good People". She knows about the healing powers of plants and berries - and understands how magic works. It turns out the death of Nora's husband is only the first in a series of other unexplained deaths. There is a stillborn child in which the mother gets blamed. Hannah Kent examines these haunting events - ( Nora, Mary, and Nance especially are drawn together to question everything they have known).....through religious beliefs- folklore- medical - and other healing remedies. This story is base on true events ....making this book that much more fascinating & terrific! "She was the gatekeeper at the edge of the world. The final human hymn before all fell to wind and shadow and the strange crooning of stars. She was a pagan chorus. An older song." One of the most exciting and nervous moments in the life of a dedicated reader is the minute we open the next book by a writer who produced a masterpiece whose roots are planted deep in our soul, a novel that has never really left our mind since the last page was turned. In this case, I'm talking about Hannah Kent an "She was the gatekeeper at the edge of the world. The final human hymn before all fell to wind and shadow and the strange crooning of stars. She was a pagan chorus. An older song." One of the most exciting and nervous moments in the life of a dedicated reader is the minute we open the next book by a writer who produced a masterpiece whose roots are planted deep in our soul, a novel that has never really left our mind since the last page was turned. In this case, I'm talking about Hannah Kent and her debut novel "Burial Rites". I think the vast majority of those who read it adored it and those who didn't still found many things to appreciate. Her sophomore effort is no less exciting, beautiful, haunting and agonizing. The only exception is the lack of a character who could rival Agnes' powerful voice and convictions. The three women in "The Good People" don't even come close, but it doesn't matter because the mysticism that flows through Kent's exquisite own makes this novel a 5-star read. -They say there's portent in the direction of a new year's wind. -What does a wind from the west bring? -Please God, a better year than last. The previous year has brought all kinds of misfortune for Nora. She lost her daughter to a sudden, wasting disease, her husband collapsed after a heart attack and she is left with her grandson, Micheál, who has lost the power of his legs, his speech and his mind. She hires a young woman, Mary, to aid her with her load and pays frequent visits to Nanche, an old woman who claims to possess the intimate knowledge of herbs and fairies. The three women are our ears and ears in the story, each one different in her fears, but with the feeling of despair and helplessness for things beyond their understanding. "Such a dark season of death and strangeness." Kent sets her story perfectly. Strange accidents are taking place, the hens and the chickens are not producing their goods as before, the cold is unusually severe, the fog is too thick, the sun has darkened. For a community that is steeped in superstition and gossiping, these events mean only one thing. The Evil Eye is upon them and they are certain that more wrongs will follow. "They have always been here. They are as old as the sea." The Good People of the title are the Fairy Folk, the main stars in the tradition that has shaped a great part of the outstanding Irish Folk we have all come to love. Nanche believed that all misfortunes have been caused by the creatures of the world beyond and takes it upon herself to right the wrong. Whether she can do it or not is another matter. Her ally is Nora who, driven by her losses, is eager to put the blame on someone who is different, unwanted, unable to defend himself against the madness of a dark time. "Don't be questioning the old ways." At the heart of the story lies the legend of the Changeling. According to tradition, the fairies used to steal human babies from their cradles and leave a child of their own in their place. The fairy child was different in shape and spirit and considered evil by the community. Nora is convinced that the boy is responsible for everything, aided by Nanche. But Mary, whose bright mind is free from superstitions, has come to bond with the boy, much to Nora's dismay. The characters of the three women are very well-written, interesting but can't be compared to Agnes of "Burial Rites". Still, Kent takes us on a journey in three very different souls. Nanche and Nora are almost fanatics and Nora is a rather contradictory character, since she is against gossips but very much in fear of the Evil Eye. I can't say that I sympathized with her. I understand the depth of her pain, but she was so thick-headed and unfair. To use a well-known equivalent, she reminded me of the cruelty and narrow-mindedness of Catelyn Stark. Too bad no wedding was in sight...Nanche is very ambiguous. I still can't decide whether she truly believed in what she did or it was her excuse to make herself useful. Mary is a character that shines. She seems to live in the periphery of the action, but I feel that her importance is significant. She is like us in a sense, watching and bonding with the poor, blameless child, feeling unable to stop what is coming. I fully sided with her decisions and convictions. 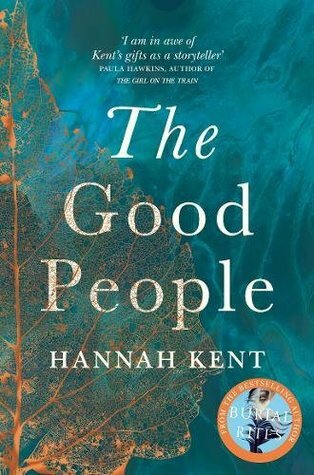 Hannah Kent’s ”The Good People” is a tale of the lore and superstitions of Ireland in the 1800s, a place and time where fairies are seen in a different light, not the Disney-fied images of Tinker Bell, or even the “god motherly” Flora, Fauna and Merryweather. Magical, tiny, helpful beings, if occasionally impish and prone to temperamental outbursts like Tink. A tale of those who believe in fairies and superstitions, and a tale of those who seek to eradicate this belief, the Catholic Church not willing, or no longer willing, to allow the open practice of belief in such things, or practices associated with such unnatural beliefs. As this tale unfolds in County Kerry 1825, a wake is being held, Nóra Leahy’s husband Martin has passed, unexpectedly, at the crossroads, leading to much conjecture of the portent that carries. Nance Roche, a bean feasa,wise woman, appears at Nóra’s door, offering assistance for the wake, offers her services for the caoineadh the keening. She’s sent her grandson Micheál Kelliher to the neighbors, wanting to spare him, her really, from the stares. Micheál came to live with them when their only child, Johanna, died. Nóra had gone to visit Johanna and Tadgh and Micheál once, when he was but two, walking and talking, laughing, reaching, smiling. Now, he’s a shell of his former self, physically diminished, not speaking, unable to walk, his legs too weak to support him. As if Nóra hadn’t suffered enough with the loss of her Johanna, she now she has lost her husband. How can she do this, care for the livestock, and care for Micheál? She hires young Mary Clifford, a young teen from Annamore looking to be one-less-mouth-to-feed-at-home and to earn some wages to help her family. Mary is no stranger to caring for younger siblings, but Micheál requires so much more care than the average child. Nóra has already had a doctor look at Micheál, but he said there was nothing that he could do, so she turns to the new priest, Father Healy, requesting that he pray over Micheál, who tells her she should do the best she can. Nóra sees nothing of her Johanna in Micheál, nothing of his father, Tadgh, either, and the whispers of the women gathering round the well say that Micheál is but a changeling, a fairy child left in place of the real Micheál, convincing her to enlist the aid of Nance Roche to have the real Micheál returned to her, sending this changeling back to the fairies. The whole valley, it seems, is already convinced of his status, gleefully sharing their theories, their beliefs in these pagan ideas while enlisting the Priest’s help in getting rid of Nance and her pagan ways. Set in an enigmatically atmospheric era brimming with conflict, pain and poverty, dominated by the distant Catholic Church, an order out of synch with the simple lives of these people, their needs, their daily struggles. There are occasional moments of light, moments of a shared sense of purpose, but this isn’t a light or happy tale. I can’t say I was swept away (by the Good People i.e. fairies, or otherwise) from the start, but fairly early on I was regretting having to put this book down. I loved aspects of this tale; the writing is sprinkled with the language, the turns of phrase, the expressions of Ireland. The imagery, the land, the people, I could envision it all, I could feel it all, and Hannah Kent’s love and compassion for this time, this place and these people. The novel is set in County Kerry in 1825 in a remote valley lying between the mountains of south-west Ireland,near the Flesk river of Killarney, three women are brought together by strange and troubling events. While the novel is a work of fiction, it does take its inspirations from a true event of infanticide. I was so excited to get my hands on a copy of this novel having loved Burial Rites and while I was not disappointed by the writing or the athmosphere that Kent is renowned for in Burial Rites I was a little disappointed with the plot and felt that the book dragged and for me this was down to too much attention to detail and research and little to character development and plot. A wonderful sense of time and place however is very evident in the book and anyone who is interested in the folklore and lotions and potions of the time or fairies and their curses are going to be well impressed with this book. The prose is poetic and her attention to period detail impressive. I did find the story dragged and became quite repetitive and none of the characters were particularly memorable for me and while I liked the book it didn't meet my expectations. I did rate the book three stars and for me this is a book I liked and well worth the read but not one for my favourite list. The book opens with the death of Nora's husband Martin. Nora is now left to be the sole caretaker of her grandson, a four year old that can neither talk nor walk, screams constantly at night and it hard to pacify. Grief stricken, Nora manages to convince herself that he is not her real grandson but rather a changeling, left in his place by the fairies. She will do anything to get her "real" grandson back. Nance is a healer but is also said to know the ways of the fairies. It is 1825 in Ireland an The book opens with the death of Nora's husband Martin. Nora is now left to be the sole caretaker of her grandson, a four year old that can neither talk nor walk, screams constantly at night and it hard to pacify. Grief stricken, Nora manages to convince herself that he is not her real grandson but rather a changeling, left in his place by the fairies. She will do anything to get her "real" grandson back. Nance is a healer but is also said to know the ways of the fairies. It is 1825 in Ireland and superstition and the old ways are still prominent but the local priest is making inroads on the belief patterns of the villagers. Soon these two belief systems will clash and things will never be the same. Atmospherically dark, the subject is dark as well, Kent turns her hand to another true case in the past, and does it ably. Her descriptions, as in her first book, pulls the reader into this dark and tragic time. Grief can take many turns and in this book the one it takes is quite horrible and not easy to read. Yet, her writing and her prose is once again outstanding, though I did feel at times it was somewhat overdone. Also found it repetitive in some instances and felt at times that this hindered the storytelling and the pace. It is, however, another unforgettable book, an impactful one, not easy to forget. The Wonder, has the same darkness and the Irish setting though not the same subject and The Stolen child, is another book that deals with changeling and fairies. If you liked either of those, one should also find much to admire in this, I did. Can't quite get it out of my head. De los mejores libros que he leído este año. This is an excellent book, beautifully written and very atmospheric. It is also very similar to Burial Rites so if you liked that you will probably like this too. Again the book is based on a real life story and this time is carried along on the superstitions and beliefs of Irish country folk with very little education and a long history of believing in fairies, the Good People of the title. Not that there is any good about them since they are blamed for every bad thing that happens from sickness This is an excellent book, beautifully written and very atmospheric. It is also very similar to Burial Rites so if you liked that you will probably like this too. Again the book is based on a real life story and this time is carried along on the superstitions and beliefs of Irish country folk with very little education and a long history of believing in fairies, the Good People of the title. Not that there is any good about them since they are blamed for every bad thing that happens from sickness to bad crops to cows producing less milk than usual. As with her first book this one is full of poverty, hunger, discomfort, dirt and darkness. I grieved for poor little Michael and his miserable life. And even though I hated all the adults for the terrible things they did, I felt sorry for them to for being reduced to that way of life. When a boiled potato and a cup of goat's milk is a satisfactory meal things are tough! Obviously a very emotive book as I still want to go in there and pull little Michael out and give him a better life:) Highly recommended although personally I would like it if the author would pull herself out of the peat bogs and the cold for her next book. Since this book is more about the series of events that led something to happen than what actually happened, my full review is a probably a bit too revealing! Here's the short version: In nineteenth-century Ireland, a new widow grapples with the hysteria surrounding her grandson, a four-year-old boy stricken with a mysterious condition that renders him unable to walk or talk. Desperate for a cure, she seeks the assistance of the village handy woman. It's a slow-moving story full of nature descri Since this book is more about the series of events that led something to happen than what actually happened, my full review is a probably a bit too revealing! Here's the short version: In nineteenth-century Ireland, a new widow grapples with the hysteria surrounding her grandson, a four-year-old boy stricken with a mysterious condition that renders him unable to walk or talk. Desperate for a cure, she seeks the assistance of the village handy woman. It's a slow-moving story full of nature descriptions and introspection. The atmospheric setting and community dynamics were engrossing, so I quickly settled into the story. Alternating between the perspectives of three women, Hannah Kent explores the capacity for depravity in otherwise "good" people and shows the terrible effects righteous certainty. Warning: child abuse. Nóra had always believed herself to be a good woman. A kind woman. But perhaps, she thought, we are good only when life makes it easy for us to be so. Maybe the heart hardens when good fortune is not there to soften it. (Ireland, 1825-1826) Nóra Leahy's husband dies unexpectedly. Suddenly, she's a widow and the sole caretaker of their four-year-old grandson Micheál. Micheál cannot walk or speak; he stares blankly into space and wails intermittently throughout the night. Unlike her husband, Nóra never bonded with the boy. She resents that he can't show her any affection or appreciation. Since the "bone-racked" boy arrived, her life and the lives of her neighbors have been plagued by misfortune: the untimely deaths of Nóra's husband and daughter, bloody eggs, and dry cows. There are whispers that he's a changeling and predictions that there'll be another death in her family soon. She keeps Micheál hidden indoors, away from the eyes of prying neighbors, but that only fuels the gossip. Nóra is tormented by the suggestion that her grandson is responsible for everyone's recent woes, including her own. With her mind clouded by grief, loneliness, exhaustion, and alcohol, she becomes obsessed with restoring him to the lively boy he was before he came to her. She had the sense that something terrible was happening. That in some irreparable way the world was changing, that it spun away from her, and that in the whirl of change she was being flung to some forsaken corner. Nance is the village handy woman. She provides herbs and cures for various ailments and assists in births and deaths. She has always lived on the fringes of society because of her differences: "She stood in for that which was not and could not be understood." While people usually keep her at a distance, they aren't afraid to come to her when they have no other options. She's been allowed to make a home for herself at the outskirts of this village for the past two decades, but the new priest is turning the townspeople against her. He preaches that their Catholic faith and superstitious beliefs are incompatible. People are beginning to make connections between Nance's mysterious work and several unfortunate incidents that have occurred around the village. She can feel the heavy weight of the community's doubt and suspicion bear down on her. She knows that she can't handle being exiled at her advanced age. Rather than abandon the old ways, she clings tighter to tradition. If she can cure Nóra Leahy's grandson, she'll be able to prove her knowledge and usefulness to the townspeople. Fourteen-year-old Mary was forced to leave home and seek work to help provide for her large family. Nóra hires her to help with chores and the boy. When she meets Nóra, she thinks she has found a safe place to live for the next six months. Nóra wasn't fully forthcoming about her situation, so Mary is shocked when she enters the home and discovers the child's condition. She is frightened at first, but becomes very protective of the boy. The valley was beautiful. The slow turning towards winter had left the stubble on the fields and the wild grasses bronzed, and the scutter of cloud left shadows brooding across the soil. It was its own world. Only the narrow road, wending through the flat of the valley floor, indicated the world beyond the mountains. I *had* to read this book because the description reminded me so much of The Wonder by Emma Donoghue, one of my favorite books from 2016. They are very different stories, but both books are based on real events and have an immersive setting. There was a little too much description of the landscape in Nance's chapters, but her bond with nature is central to her story. Spending time in the claustrophobic village was so hypnotic that I thought I misread the genre. The haunting atmosphere makes it feels like there's really something supernatural lurking in the periphery. I think that's a credit to how objectively the author approaches her characters. She captures how mysterious and unknowable the world must have felt to these people. It was jarring when we finally broke outside the confines of the community and are forced to recall how secluded these villagers were. The people in the tight-knit community are "tied to one another by blood and labour and a shared understanding of the traditions stamped into the soil by those who had come before them." Mary is the outsider's perspective but she also places faith in the superstitions. Isolation and lack of education create a fertile ground for panic:"A lot of fears are born of sitting too long alone in the dark." Once suspicion is cast and the suggestion of supernatural causes grips the community's imagination, hysteria thrives. Reason exists in the town, but it doesn't hold the same power that superstition does. Deep-seated beliefs and power differentials make it difficult for even those with conflicted consciences to follow their moral compass. Sometimes their closeness to the people involved prevents them from seeing how dire the situation has gotten until it's too late. I expected a more uplifting story based on the description: "three women in nineteenth-century Ireland are drawn together in the hope of rescuing a child from a superstitious community." From an outsider's perspective, it actually seemed like the opposite was happening! This makes The Good People far more disturbing than The Wonder. A helpless boy is being mistreated in increasingly awful ways and there doesn't seem to be anyone who is capable of effectively advocating for him. The title refers to the fairies ("said to be of middle nature between Man and Angel"), but also to the characters. As sickening as some of their thoughts and choices are, no one in this story thinks of themselves as a bad person–even their worst acts are rationalized with "noble" intentions. At Nóra's weakest point, Nance provides her with both a reason and a remedy for her grandson's suffering; surely it would be a disservice to the boy to ignore Nance's offer. Nance truly believes her contributions are essential to the community and that her skills can help the boy. There are also those in the community that weaponize belief for their own rationalized purposes. "All this talk of fairies. Sure, people will tell themselves anything to avert their eyes from the truth of a matter." Trauma, desperation, and tradition converge, driving people to commit terrible acts that they see as justifiable. This work of historical fiction felt like a horror story, because it's a reminder of the wickedness lurking in ordinary people. Does almost everyone have a breaking point? Are some people's thresholds for pain and suffering much lower than others? Nóra's transformation was one of the most chilling parts. She had never visited Nance for a cure before. She didn't have a history of bad behavior. However, something shifts inside of her after she experiences one too many traumas in short succession. I don't think the Nóra or her neighbors could've ever predicted the position she'd end up in. (view spoiler)[It was interesting to see how the women see themselves after they've been exposed and the (figurative) spell has been broken. I was also intrigued by the community's reaction. They harshly judge the women, but at the same time the results of the women's actions seem to bring a disturbing sense of relief to the community. (hide spoiler)]It's a very uncomfortable story to read, but I really liked the sense of place and the way Kent approached her characters. I'm really looking forward to reading Kent's debut Burial Rites! ‘The cod swims in deeper waters. There’s a mighty peace in the deep, and that is all the cod is after. The untroubled deep. But a storm will toss the water about like a devil. Fish, weed, sand, stones, even the old bones and bits of wrecked ships, ’tis all tossed feathers when the storm hits. Fish that like the deep are thrown into the shallows, and fish that have a need of the shallows are pushed into the deep. ‘Begod, I tell no lie. But what does the cod do when he senses a storm in the water? He swallows stones. Faith, ’tis true or I’m not your da. Your cod will fill himself with stones to stay out of the mighty swell of the sea. He will sink himself. All fish are afraid of thunder, but only some know how to keep themselves out of the way of it." • An expert asks: Do we all have an evil, dark side? (USA Today, March 2007) - "• So-called inner character seldom survives if familiar social guideposts, such as family and normal routines, fall away. • Few people will challenge a widely accepted injustice." I came across this article while following a recent case (Dallas Morning News, October 2017) that reminds me a little bit of Micheál's story. • A Qualitative Analysis of Power Differentials in Ethical Situations in Academia - Saving to read for later! I received this book for free from Netgalley and Little, Brown and Company. This does not affect my opinion of the book or the content of my review. It's available now! The Good People is about when good people go off the rails due to grief, lore, superstition, and desperation! It's nineteen century Ireland and times are tough. People still believe in fairies and believe they can curse people or steal people away. Nora's husband Martin has died suddenly leaving her to care for their deceased daughter's child (Michael) on her own. The child is not a healthy one. He once walked and talked like any healthy toddler then one day her son-in-law showed up at Martin and The Good People is about when good people go off the rails due to grief, lore, superstition, and desperation! It's nineteen century Ireland and times are tough. People still believe in fairies and believe they can curse people or steal people away. Nora's husband Martin has died suddenly leaving her to care for their deceased daughter's child (Michael) on her own. The child is not a healthy one. He once walked and talked like any healthy toddler then one day her son-in-law showed up at Martin and Nora's home. He informed them that their daughter was dead and that her once healthy child can no longer speak or walk. Nora and Martin have kept the child hidden worried about what their friends and neighbors will think. Nora hires a young woman named Mary to work for her. Mary's main job is taking care of Michael and the home. Mary is initially horrified at Michael's condition but begins to feel sympathy for him. Initially she believes him to be a changeling but as the book progresses, she has her doubts. Fear, rumors and gossip are common in this community. The women talk at the watering hole and believe that something is very wrong with Michael. He is not like other children. He is hidden away and their imaginations get the better of them coming up with ideas as to why Nora keeps him hidden. Illness and death are common and the villagers are looking for something or someone to blame. Michael is suspected to be a changeling - a child of "The Good People" left behind when they took the human child, Michael. Believing that her grandson is a changeling, Nora turns to Nance, known for her unusual healing powers. She is feared and revered. She has ways of healing the villagers when traditional medicine does not work. Nora asks for Nance to help her get her real grandson back. Most of the villagers do not see the harm in having Nance around, but the new priest wants her gone. Other villages begin to turn against her while some still come visit her in secret. Nance mainly uses herbs to heal people and relies on the "gifts of thanks" from villagers when she is about to provide them with "the cure." Upon inspecting Michael, Nance states her belief that Michael is a changeling and offers her cure. Nance, Mary and Nora attempt to rid Nora of the changeling while bringing Michael back from "The Good People". This book is based on the real life case in nineteenth century Ireland where a woman was acquitted of a crime. Her defense was that she was trying to banish a fairy. Once again, Kent has taken a real life event and dazzled readers with it. I loved Kent's book "Burial Rites". I could not read it fast enough to see what would happen next. The Good People was not as fast a read for me but it grabbed me and did not let go. It is a story about loss, about wanting to believe something so badly that you can't see the truth, about not knowing what the truth is, about shame, about superstition, about love, about ignorance, about fear and about desperation. Kent gives us a glimpse into the lives of three women living in nineteenth century Ireland. Women who live in poor close knit communities where you know everyone and everyone knows your business. Communities where one's fear makes the decisions for that person. Where reason and common sense something have to take a back seat to ignorance and superstition. A time where people do not have the luxury of modern times to go to a library or on the internet to find answers to their questions. They looked to nature, folklore and superstition to explain changes in human behavior, health or appearance. I found that I both liked and felt empathy for all of the characters are varying parts of the book. They were put in situations that no one could explain to them - why did a seemingly healthy man die suddenly? Why did a seemingly healthy baby become so gravely disabled? Nature and fairies were answers they turned to most. The people are living in a harsh environment. The cows are not producing as much milk, crops are not surviving, the people are improvised. They need something to blame. Could Michael be the reason? Is he a changeling? This is a bleak book. Kent is brilliant in creating atmosphere in this book. I could almost feel the chill in the air, see the mist rising from the ground, feel the fog, smell the grass. The landscape is also a character in this book. Life here is extreme. What occurs when three women take extreme measures to save a young boy? Beautifully written and haunting a times. This tragic tale is beautifully told and lingered with me after I finished reading it. This is a book I sat and ponder after I finished reading. How does one make sense out of something she does not understand? What power does superstition play in our lives today? Thought provoking and masterfully told, The Good People does not disappoint. I received a copy of this book from Little, Brown and Company and NetGalley in exchange for an honest review. The thoughts and opinions expressed in this review are my ow. Just finished Hannah Kent's second novel (I loved her first) and am a slightly overwrought emotional wreck. Who knew a book about fairies and murder could have so many themes and give me so many (often uncomfortable) feels. Stunningly written and raises some important questions but trigger warning also depicts some child abuse. Aussie author Hannah Kent exploded onto the literary scene in 2013 with the evocative historical fiction novel, Burial Rites. Not only did it win numerous awards, but was also universally praised. As a result, fans like my good self have been waiting (in)patiently to see what Hannah will come up with next. Could The Good People live up to the expectations? I am pleased to say the answer is an unequivocal yes in what is another memorable and engrossing look at a time that we in this day and age c Aussie author Hannah Kent exploded onto the literary scene in 2013 with the evocative historical fiction novel, Burial Rites. Not only did it win numerous awards, but was also universally praised. As a result, fans like my good self have been waiting (in)patiently to see what Hannah will come up with next. Could The Good People live up to the expectations? I am pleased to say the answer is an unequivocal yes in what is another memorable and engrossing look at a time that we in this day and age can only dream of. 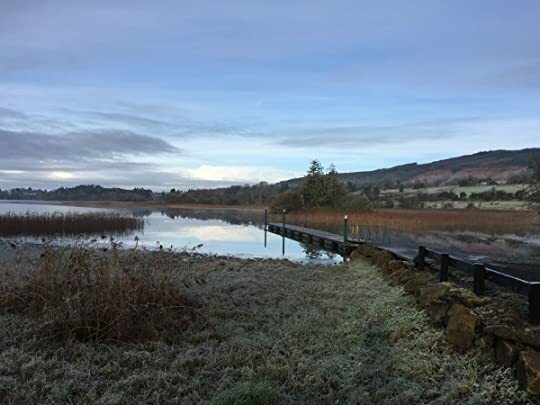 Killarney Ireland in 1825 and Nora Leahy, beset with grief after the loss of her only daughter Johanna is forced to endure more pain when two local men bring to her the body of her husband Martin. Realizing that many people will want to visit her to pay their respects, Nora will ask one of the two men to take her grandson Micheál to her nearest neighbor. The boy at the age of 4 cannot walk, or speak and she has done her best hide him from the outside world. After talking to her Neighbor, Nora agrees to hire a young girl to help around her property and with Micheál. She remembers a younger grandson who could talk and walk and in desperation will seek the assistance of eccentric local healer Nance Roche, who says she speaks to fairies or the good people as she calls them. As more and more of the locals become aware of the child they are convinced that he is responsible for all the wrongs in the village. Nance is convinced the boy is a changeling and believes she knows how to banish it and bring the real Micheál back. In order to do this, it will call for drastic and harsh measures that could end the child's life. Nóra’s best friend Peg O’Shea advised her to hire a maid to help care for Micheál – so fourteen year old Mary Clifford came to share Nóra’s home. Her initial shock when she spied Micheál’s deformities had her wanting to flee, but then her compassion overcame her. Mary had younger siblings herself and was used to caring for them. This wouldn’t be very different – would it? I loved Hannah Kent’s previous novel, “Burial Rites,” and was delighted to read her latest novel. This is also set in a rural, isolated community – in this case 1825 Ireland. Nora Leahy lives with her husband, Martin, and her daughter’s son, four year old Micheal. We meet Nora on the day her beloved husband suddenly collapses and dies. As the village community gather in her house, Nora is quick to hide away young Micheal with her neighbour, Peg. It some becomes apparent that Micheal cannot speak I loved Hannah Kent’s previous novel, “Burial Rites,” and was delighted to read her latest novel. This is also set in a rural, isolated community – in this case 1825 Ireland. Nora Leahy lives with her husband, Martin, and her daughter’s son, four year old Micheal. We meet Nora on the day her beloved husband suddenly collapses and dies. As the village community gather in her house, Nora is quick to hide away young Micheal with her neighbour, Peg. It some becomes apparent that Micheal cannot speak or walk and that, having had the boy brought to them by their son in law, after the death of their daughter, the couple have hidden him away from prying eyes. Based upon a true story, this is beautifully written, but deeply depressing and unsettling to read. It is best when it looks at the relationship between the three women: Nora, Nance and Mary. As Nora attempts to cope with being left alone, aware of how bad luck and superstitions are aimed at her door, she turns to the old ways and the folklore, herbs and healing of those times are recreated extremely believably. Still, this is a novel which is often hard to read, however beautiful the prose. It would be a good choice for book groups, with a lot to discuss and is a haunting read, which will stay with me. I received a copy of this book from the publisher, via NetGalley, for review. La capacidad de Hannah Kent de trasladarte a otro lugar y época, meterte allí y nunca perder la verosimilitud es increíble. Ya lo hizo en "Ritos funerarios" y lo repite en esta novela. De hecho, la veo más suelta en esta historia donde superstición y realidad se entremezclan para contarnos el drama de una mujer (de varias, en realidad) superada por las circunstancias. Los personajes que crea Kent no te caen del todo bien, pero consigue que empatices con ellos (con ellas). Incluso tiene cierto air La capacidad de Hannah Kent de trasladarte a otro lugar y época, meterte allí y nunca perder la verosimilitud es increíble. Ya lo hizo en "Ritos funerarios" y lo repite en esta novela. De hecho, la veo más suelta en esta historia donde superstición y realidad se entremezclan para contarnos el drama de una mujer (de varias, en realidad) superada por las circunstancias. Los personajes que crea Kent no te caen del todo bien, pero consigue que empatices con ellos (con ellas). Incluso tiene cierto aire de actualidad, con esa mujer que trata de buscar una cura para un niño que se ha convertido en una carga. No sería la primera persona en creer en cualquier cosa que le prometa arreglar todos sus problemas. Si a eso le unimos una ciencia médica casi inexistente y una superstición que empapa todas las capas de una sociedad rural, la mezcla explosiva está servida. Ένα απίστευτα καθηλωτικό μυθιστόρημα που διάβασα μονορούφι. Η Hannah Kent μας κέρδισε όλους με τα «Έθιμα Ταφής». Με τους «Καλούς» απέδειξε ότι έχει μια λαμπρή συγγραφική καριέρα μπροστά της. If you loved Burial Rites, I cannot see why you wouldn’t love this too. In both Hannah Kent meticulously researches, then takes what she has learned and weaves the factual details of her thorough studies into an utterly believable story. In both what is depicted is grim. It is not a light read that is delivered. In both there is a tension to the telling. In both the feel of a time and a place are meticulously replicated. What happens here in this story, the tale's plot, how it is told and the in If you loved Burial Rites, I cannot see why you wouldn’t love this too. In both Hannah Kent meticulously researches, then takes what she has learned and weaves the factual details of her thorough studies into an utterly believable story. In both what is depicted is grim. It is not a light read that is delivered. In both there is a tension to the telling. In both the feel of a time and a place are meticulously replicated. What happens here in this story, the tale's plot, how it is told and the intricacies with which the characters' motivations, actions and dialogs are drawn feel genuine. For me a book of fiction is at its best when I am totally convinced that all I am being told has to be true, word for word, action by action and for the reasons shown! What happens had to have happened just like this! Through reading this book, one sees the Flesk river valley, near Killarney in Kerry County, Ireland, in 1825. That is the setting. One sees the wattle and mud houses thatched with potato stalks and heather, the brambles and the filth and the dire poverty. I saw and heard the skin-and-bone child, Micheál, with welts, with arms flailing, screeching. I smelt his urine soaked bedding. I heard river waters swirl, funeral keenings and the townspeople’s Gaelic chants. The dialogs are made perfect not simply by the author’s inclusion of Gaelic words, but also in how the English words are strung together. English speakers say things one way, but the Irish take the same words, change the word order and use a different verb conjugation; like magic, all is altered. The lilt is different too; this came across marvelously in the book’s audio format. How did Kent, an Australian author, capture the brogue so perfectly? (I have been told that her partner is Irish.) When she wrote Burial Rites she lived in Iceland to absorb the intimate feel of what happened there. It is this kind of in-depth study that marks Kent’s writing. It is this that makes the telling feel so genuinely accurate. Kent marvelously draws the clash between Christianity and supernatural beliefs that existed in rural Ireland in the early 1800s. It is said such beliefs continued to exist decades and decades later. Belief in fairies and goblins and rites that HAD to be performed were as much a part of that life and their culture as our instantaneous media coverage is an integral part of our world today. If you tripped, milk had to be thrown out over the path. St. Brigid Crosses had to be woven to properly mirror the sun’s rays and they had to be hung over doorways on her Feast Day (February 1st). It was not question of choice! It was done! What impressed me most about this book was the author’s ability to make belief in the supernatural reasonable, natural and a belief that most probably I too would have held had I lived in those circumstance and conditions then. What do you believe when doctors cannot heal? What do you believe when the clergy fail? What do you believe when you think you have in fact seen proof of the fairies? There are three central characters: Nóra, Nance and Mary. Each one of them is drawn with a finely chiseled pen. Each very different from the other and each true to their own way of being. The writing is lyrical. There are lines describing nature that are utterly gorgeous. I listened to the audiobook narrated by Caroline Lennon. I enjoyed the intonations. I appreciated the Irish brogue. A book like this quite simply must be told with an Irish lilt. I don’t know Gaelic, but the words sounded marvelous in my ears. I did have trouble catching some of the names, and I don’t have a clue how to spell them. Must there be a trade-off between capturing an atmosphere well and clarity? I have discovered that the paper book concludes with an author’s note. There it is stated that the story is based on fact. The audiobook does not include the author’s note! This annoys me. I want to know what of this story is factual and what is imagined! Samhain Eve was ‘celebrated’ in old Celtic times as the liminal space between the seasons as they were going into winter. It is also the boundary between old and new, seen and unseen, this world and the other world. It is probably the origin of Halloween, All Hallows Eve, which is now the day before All Saints Day in the Christian calendar. This is a story very much about the old customs and less so about their challenging the church, although that is an important element. The Good People are evil fairies. There, I’ve said it. Now I’ll be blinked or blasted or otherwise disappeared. This is a grim story. Probably as grim as the author's debut novel, the much acclaimed Burial Rites, which I loved. I wish I had known that this was also inspired by a true story, but it was only in the Author’s Note at the end. I should remember to read them first. I think I’d have appreciated this more if I’d known. Kent’s writing is as evocative as ever. She shows us how frightening it would be to live with those superstitions. We talk today of cross-cultural training and learning to respect the customs and beliefs of others. At this time in Ireland, those customs and beliefs could change from one side of the hill to another. Mary is a young girl from the village of Annamore who has gone to work for the widow Nora in another village. When they walk to the well, she is greeted strangely. “Some spat on the ground. ‘God be between us and harm,’ whispered another. ‘Tis your red hair,’ Nóra muttered to Mary. Mary shifted uncomfortably, but said nothing. Poor Mary. [But isn't that last sentence the most wonderful description of how fast gossip travels?!] Mary has been brought in to help care for Nora’s afflicted grandson who is four and used to walk and talk and play but who can now only shriek and flail around uncontrollably. She has left her loving but bitterly poor home full of brothers and sisters because they are slowly starving to death. She’s already lost some. I was reminded of Angela's Ashes here, but this book doesn’t have any of the hopefulness that I seem to remember Frank McCourt managed to find room for in his heartbreaking memoir. Of course, maybe it's because I know he survived that I remember it more fondly. And now to Nance, whom nobody called a witch, but it was always assumed she was in league with the fairies. She had ‘the knowledge’. She says she learned it from her aunt, who had been ‘swept’ (abducted by fairies with a substitute – changeling – left in her place), but she was brought back – returned. So Nance is a firm believer in changelings. Post-partum depression was probably attributed to a woman having been ‘swept’ (not her real self) and then presumably ‘returned’ if she magically came good again. Creepy stuff. Nance had herbs and potions and rituals, all of which she believed in herself. She was as poor as it is possible to be and still be alive, I think. She was the person they came to when the Church couldn’t help and the doctor was too expensive. She’d been banished from her own valley years before. Nora eventually seeks her out for help with the afflicted grandson, and that is the story upon which Kent based this tale. Beautiful reading, dreadful times. You just want to shake them all and feed them! There were some raised eyebrows. Áine rolled her eyes. I'm sure Ms Kent did her research, and there is some beautiful descriptive writing in there, but frankly I was bored. From around page 200 or so I speed-read the rest just to see how it finished. But did I really care? I did not. Some Irish sounding dialogue does not a character make. Nice touches: the blending of true herbal wisdom and folk beliefs. The way people will believe in whatever works best for them, whether it is the methods of the handy woman or the magicking of holy water finicked ar I'm sure Ms Kent did her research, and there is some beautiful descriptive writing in there, but frankly I was bored. From around page 200 or so I speed-read the rest just to see how it finished. But did I really care? I did not. Some Irish sounding dialogue does not a character make. Nice touches: the blending of true herbal wisdom and folk beliefs. The way people will believe in whatever works best for them, whether it is the methods of the handy woman or the magicking of holy water finicked around by someone who claims that his particular superstition is "true belief" (Yo). One line that made me smile: A warning not to take too much drink. 4,5* γιατί κάπου έκανε μια μικρή τόση δα κοιλίτσα! Ιρλανδία 1825, η Νόρα Λίχι χάνει τον άντρα της ξαφνικά και μόνη της τώρα πλέον πρέπει να φροντίσει τον ανάπηρο γιο της επίσης νεκρής κόρης της. Για να τη βοηθήσει με τις δουλείες προσλαμβάνει ένα νεαρό κορίτσι, τη Μαίρη. Τα πράγματα όμως δεν είναι καθόλου εύκολα για τη χήρα και την παραδουλεύτρα της. Μετά τον ξαφνικό θάνατο του άντρα της Νόρα τα πράγματα παίρνουν την κάτω βόλτα. Ατυχίες και ατυχήματα άρχισαν να συμβαίνουν παντού. Οι αγελάδες δεν β 4,5* γιατί κάπου έκανε μια μικρή τόση δα κοιλίτσα! Τα πράγματα όμως δεν είναι καθόλου εύκολα για τη χήρα και την παραδουλεύτρα της. Μετά τον ξαφνικό θάνατο του άντρα της Νόρα τα πράγματα παίρνουν την κάτω βόλτα. Ατυχίες και ατυχήματα άρχισαν να συμβαίνουν παντού. Οι αγελάδες δεν βγάζουν αρκετό γάλα, οι κότες δεν γεννούν πολλά αυγά. Και παρά τις προσπάθειες της να κρύψει τον εγγονό της από τα μάτια του κόσμου, οι άνθρωποι της κοιλάδας ξέρουν και μιλούν. Ψιθυρίζουν μεταξύ τους πως αυτός είναι που φταίει για όλα τα κακά που τους βρήκαν. Λένε πως είναι αγγισμένος, νεραϊδοπαρμένος, τελώνιο, πως τον έχουν πάρει οι Καλοί. Τέσσερα πουλιά που σημαίνουν το θάνατο, αλάτι ή κάρβουνο στην τσέπη για να ξορκίσουν το κακό και κάθε λογής χόρτα και βότανα που θεραπεύουν τις αρρώστιες. Στην Ιρλανδία του 1825 οι άνθρωποι ζουν μέσα στη φτώχεια, τις προκαταλήψεις και τις δεισιδαιμονίες. Πιστεύουν στις νεράιδες και στα ξωτικά. Πως ζουν ανάμεσα τους, πως κάνουν ζημιές και φάρσες και προκαλούν αρρώστιες. Αυτή είναι η πραγματικότητα τους, η αλήθεια τους. Και υπάρχει και η Νανς Ρόουντς, η γιάτρισσα. Αυτή που έχει τη Γνώση. Που της την έδωσαν οι Καλοί. Που έχει πάρε δώσε μαζί τους. Που ήξερε τις ιδιότητες του κάθε βοτάνου και δουλειά της είναι να συμμαζεύει τις αταξίες των Καλών και να θεραπεύει τις αρρώστιες που φέρνουν. Η Νανς λοιπόν, παρά τις αντιρρήσεις του παπά, καλείται να θεραπεύσει το άρρωστο αγόρι, να διώξει το τελώνιο και να φέρει πίσω στη γιαγιά του το εγγόνι της. Στο πρώτο και στο δεύτερο μέρος είμαστε εγκλωβισμένοι στην κοιλάδα. Η Kent με τη γραφή της καταφέρνει και σε βάζει μέσα στον κόσμο τους. Γιατί όντως ζούσαν σε έναν άλλο, δικό τους κόσμο. Έναν κόσμο που οι Καλοί σκορπούν τον φόβο. Ένιωθες την απελπισία της Νόρα Λίχι, την κούραση της Νανς Ρόουντς και την ανησυχία της Μαίρης. Έπαιρνες μέρος στον παραλογισμό τους, που γι’ αυτούς ήταν η λογική και η αλήθεια. Στο τρίτο μέρος, για λόγους που δεν θα αναφέρω, φεύγουμε από την κοιλάδα, κι εκεί φαίνεται το μέγεθος της αμάθειας τους, αλλά και η επικινδυνότητα της. Τι πόσο κακό μπορεί να προκαλέσουν οι προκαταλήψεις οι οποίες είναι τόσο στενά συνυφασμένες με την καθημερινότητα τους που είναι σχεδόν τρομαχτικό! Το πρώτο και το το δεύτερο μέρος θα μπορούσε κάλλιστα να αποτελεί τμήμα ενός βιβλίο μαγικού ρεαλισμού ίσως. Στο τρίτο μέρος προσγειωνόμαστε στην πραγματικότητα. Υπέροχη γραφή, καταπληκτική σκοτεινή, ζοφερή, λίγο ψυχοπλακωτική ατμόσφαιρα, περιγραφές σχεδόν ποιητικές και πολύ καλοί και οι τρεις γυναικείοι χαρακτήρες. Στο όριο της συμπάθειας και της αντιπάθειας και οι τρεις, την μια τις μισούσα τόσο πολύ και την άλλη ένιωθα συμπόνια και τις καταλάβαινα. Πιο πολύ μου άρεσε η Νανς, ενώ νομίζω πως η Νόρα ήταν λιγάκι “παραμελημένη” σαν χαρακτήρας. Το βιβλίο είναι βασισμένο σε ένα πραγματικό γεγονός (για το οποίο εγώ δεν ήξερα τίποτα και τελικά καλά έκανα και δεν έψαξα! ), έχει γίνει τρομερή έρευνα και αυτό φαίνεται. Η αληθοφάνεια και η πιστότητα με την οποία η Kent κατάφερε να αποδώσει την κοινωνία της Ιρλανδίας του 19ου αιώνα, τις λαϊκές δοξασίες και παραδόσεις, την ζωή των φτωχών ανθρώπων της εποχής. Οτιδήποτε είχε να κάνει με τα ξωτικά και τις θεραπείες με βότανα με περίεργα ονόματα με ενθουσίαζε! Είναι εντυπωσιακό το μέγεθος της πίστης των ανθρώπων, το ότι δεν είχαν γνωρίσει ποτέ τους κάτι διαφορετικό και το ότι δεν δέχονταν κανείς να αμφισβητήσει αυτή τους την πίστη. Κάπως ψυχοπλακωτικό, κάπως στενάχωρο στο τέλος, υποβλητικό καθ’ όλη τη διάρκεια του, μου άρεσε πολύ! However there was a time when fairy lore was a central part of everyday Irish life. Based on true events, The Good People is set the Flesk valley of County Kerry in 1825. The story begins with a wake, as Nora Leahy's husband has dropped dead of a heart attack. Stricken with grief, she hires Mary Clifford, a teenage maid, to help her with chores and take care of her crippled grandson Micheál. Nora maintains that the troubled four-year-old wasn't always disabled - a mere two years earlier, he was a healthy and smiling baby boy. Nance Roche, a local healer, convinces Nora that the child is a changeling and that the real Micheál has been swept by fairies, or the "good people" as they are known. She devises a scheme that will see the boy returned to his family, but this plan turns out to have life-changing consequences for everyone involved. The story focuses on an era in Irish life when paganism and Christianity competed as a source of faith and belief. The local priest was the most powerful man in the parish, but his flock were an uneducated bunch who clung to superstition. Fireside tales of folklore were not only a means of entertainment, they were also a way of rationalising misfortune. A childless couple, a rotten crop - these problems were attributed to upsetting the fairy folk and people used all manner of rituals and potions to keep them appeased. As fans of Burial Rites will know, Hannah Kent has a real talent for period detail and generating atmosphere. We can almost touch and feel the soggy landscape that events take place in: "the smell of damp soil was everywhere." The poverty and misery of rural existence is always apparent - Nance lives in a windowless bothán with "walls made of wattle and mud, thatched with potato stalks and heather." In later chapters, the wide streets and tall buildings of Tralee town are an eye-opening contrast to the wild terrain that our protagonists are accustomed to seeing. Μου άρεσε πολύ. Η αλήθεια είναι ότι δεν ξέρω αν απολύτως κατάφερε να επιτελέσει τον σκοπό για τον οποίο γράφτηκε, ούτε μπορώ να πω με βεβαιότητα ότι ανεβάζει τη συγγραφέα σ’ ένα άλλο συγγραφικό επίπεδο καθώς πάνω κάτω κινείται στα ίδια γνώριμα νερά με το πρώτο της μυθιστόρημα τα διάσημα «έθιμα ταφής» όμως στα δικά μου μάτια αποτέλεσε μια ενδιαφέρουσα ιστορία κυρίως στο κομμάτι του πόσο τελικά είμαστε διατεθειμένοι εμείς οι άνθρωποι να πιστέψουμε σε παραμύθια, σε ιστορίες με νεράιδες και ξωτικά , Μου άρεσε πολύ. Η αλήθεια είναι ότι δεν ξέρω αν απολύτως κατάφερε να επιτελέσει τον σκοπό για τον οποίο γράφτηκε, ούτε μπορώ να πω με βεβαιότητα ότι ανεβάζει τη συγγραφέα σ’ ένα άλλο συγγραφικό επίπεδο καθώς πάνω κάτω κινείται στα ίδια γνώριμα νερά με το πρώτο της μυθιστόρημα τα διάσημα «έθιμα ταφής» όμως στα δικά μου μάτια αποτέλεσε μια ενδιαφέρουσα ιστορία κυρίως στο κομμάτι του πόσο τελικά είμαστε διατεθειμένοι εμείς οι άνθρωποι να πιστέψουμε σε παραμύθια, σε ιστορίες με νεράιδες και ξωτικά , να ζούμε σε μια ψευδαίσθηση μόνο και μόνο γιατί δε μπορούμε να αποδεχτούμε την όχι και τόσο ρόδινη πραγματικότητα μας. Ένα βιβλίο για την αμάθεια και πως αυτή μπορεί να μας παρασύρει σε κατακριτέες πράξεις και εξωφρενικές επιλογές. Η Ατμόσφαιρα επιβλητική όμως μόνο η Κεντ ξέρει να δημιουργεί, στα συν η επιμονή της συγγραφέως να επιμένει να επιλέγει γυναικείους χαρακτήρες ως πρώτα βιολιά για να πει την ιστορία της. Στα συν επίσης το μέγεθος της έρευνας καθώς το κομμάτι της μυθοπλασίας βασίζεται σε αληθινή ιστορία. Πραγματικά στο κομμάτι αυτό και στις δύο της απόπειρες η συγγραφέας ΚΕΝΤ-άει. Καταθλιπτικό και σκοτεινό ανά διαστήματα, ανατρεπτικό και εντελώς στενάχωρο φινάλε ολοκληρώνουν το σκηνικό μαζί φυσικά με την εξαιρετική μετάφραση της ικανής Μαρίας Αγγελίδου. ... Έχω μια στενοχώρια, ένα βάρος στην καρδιά.. Το τέλος των βιβλίων της Hannah Kent δεν έχουν λύση, δεν προσφέρουν κάθαρση. Σε αφήνουν με ένα "γιατί ρε γαμωτο" οταν τελειώνουν..
Οι Καλοί δεν είναι Έθιμα Ταφής, και ίσως -κακώς- πριν το διαβάσω είχα βάλει τον πήχη πολύ ψηλά. Είναι όμως ένα πολύ καλό βιβλίο για το οποίο η Kent για μία ακόμη φορά έχει κάνει τρομερή έρευνα. Σίγουρα αξιζει τον κόπο! The Good People is an intense and deeply unsettling novel based on true events which occurred in Ireland in 1826. Set in an isolated rural community the story is steeped in folklore and superstitions and follows three women deeply flawed and each dealing with her own struggles, grieve and desperation. Hannah Kent's writing is beautiful and she managed to create a bleak but compelling story. If you enjoy historical fiction, that book is a must read. I first came to know of author Hannah Kent thru her first debut, Burial Rites, short-listed for the Bailey’s prize and the International Dublin Literary award. Her very dark novel is an all time favorite of mine and one I will never forget. The Good People, her 2nd novel, is both similar and different than her first. Based on true events in County Kerry in 1826 Ireland, Kent takes us to a long ago society with misconceived beliefs similar to the background in Burial Rites. Unfortunately, I didn’t I first came to know of author Hannah Kent thru her first debut, Burial Rites, short-listed for the Bailey’s prize and the International Dublin Literary award. Her very dark novel is an all time favorite of mine and one I will never forget. The Good People, her 2nd novel, is both similar and different than her first. Based on true events in County Kerry in 1826 Ireland, Kent takes us to a long ago society with misconceived beliefs similar to the background in Burial Rites. Unfortunately, I didn’t take to the novel like I did her first. I did read it half way through to give the book a chance, but did not want to continue. Other GR friends have highly rated this book so don’t go by my opinion please. I just couldn’t get into the superstitious storyline. Η ατμόσφαιρα υποβλητική όσο πρέπει, το ιστορικό πλαίσιο σωστό, έχει γίνει αρκετή έρευνα ως προς την ζωή των Ιρλανδών την συγκεκριμένη περίοδο, αλλά η ιστορία με έκανε να βαρεθώ και οι χαρακτήρες δεν είχαν και πολύ βάθος δυστυχώς. Παρόλα αυτά, θα συνεχίζω να διαβάζω ό,τι γράφει η Hannah Kent γιατί ο λόγος της ρέει πολύ ευχάριστα. Πιο δίκαια κάπου 3.5/5. Ήταν κάπου στο 2014 όταν κυκλοφόρησε στην Ελλάδα το λογοτεχνικό πρωτόλειο της Αυστραλής συγγραφέως Hannah Kent από τις Εκδόσεις Ίκαρος με τίτλο Έθιμα Ταφής σε μετάφραση της κυρίας Μαρίας Αγγελίδου. Λογοτεχνικό πρωτόλειο το οποίο ταξίδεψε και συνεχίζει να ταξιδεύει ακόμη και σήμερα σε ράφια βιβλιοπωλείων και αγκαλιές αναγνωστών, με απόλυτη επιτυχία! Ένα μυθιστόρημα ατμοσφαιρικό που συνδυάζει την ποιότητα γραφής και το ενδιαφέρον της θεματολογίας του. Μυθιστόρημα που αγαπήθηκε, λατρεύτηκε θα τολμο Ήταν κάπου στο 2014 όταν κυκλοφόρησε στην Ελλάδα το λογοτεχνικό πρωτόλειο της Αυστραλής συγγραφέως Hannah Kent από τις Εκδόσεις Ίκαρος με τίτλο Έθιμα Ταφής σε μετάφραση της κυρίας Μαρίας Αγγελίδου. Λογοτεχνικό πρωτόλειο το οποίο ταξίδεψε και συνεχίζει να ταξιδεύει ακόμη και σήμερα σε ράφια βιβλιοπωλείων και αγκαλιές αναγνωστών, με απόλυτη επιτυχία! Ένα μυθιστόρημα ατμοσφαιρικό που συνδυάζει την ποιότητα γραφής και το ενδιαφέρον της θεματολογίας του. Μυθιστόρημα που αγαπήθηκε, λατρεύτηκε θα τολμούσα να πω, αλλά και πολυσυζητήθηκε, αποτελώντας μία πολλά υποσχόμενη συγγραφική αρχή! Another quality read from Hannah Kent. With her first novel Burial Rights and now the Good People, this lady sure knows how to tell an unhappy story! The Good People are fairies and belief in them and their tricks were integral to 19th century life in Ireland, sitting, perhaps uncomfortably, along side Catholicism. Kent has done her research and her story is based on true events. The superstitions described are so interesting: cutting the corner from bread before eating to let the devil 4.5 stars. Kent has done her research and her story is based on true events. The superstitions described are so interesting: cutting the corner from bread before eating to let the devil escape, leaving food scraps for the fairies,etc. It was believed people got 'swept' when they disappeared (swept away to fairy forts) or went mad. That a child was a changeling, was often the explanation for disabilities. The book is beautifully written- descriptions of bereavement near the start of the book were heart-wrenching. Village life was harsh and a community with all its associated disagreements, gossip and peer group pressure are all convincingly portrayed. This is, for me, historical fiction at its best: laying out the lives of the common people, the details of their poverty, their hopes, dreams and fears- their superstitions and the beliefs they hold dear. Hannah Kent does this all so well. Fans of Karen Maitland or Emma Donaghue will enjoy this story. Αλλο ενα αριστουργηματικο βιβλιο απο την Hannah Kent.θυμαμαι πριν καποια χρονια τα "εθιμα ταφης", της ιδιας, ηταν το πρωτο βιβλιο που με εβαλε στη διαδικασια να γραψω την πρωτη μου "κριτικη" στο goodreads,ακριβως επειδη με ειχε συγκλονισει τοσο .το ιδιο συγκλονιστικο ειναι και αυτο το 2ο βιβλιο της, το οποιο αν επρεπε να πω για ποιο πραγμα μιλαει, θα ελεγα οτι αυτο ειναι σε ποιο σημειο ειναι διατεθειμενοι να φτασουν οι ανθρωποι προκειμενου να μην αντιμετωπισουν την αληθεια.ειναι διατεθειμενοι να Αλλο ενα αριστουργηματικο βιβλιο απο την Hannah Kent.θυμαμαι πριν καποια χρονια τα "εθιμα ταφης", της ιδιας, ηταν το πρωτο βιβλιο που με εβαλε στη διαδικασια να γραψω την πρωτη μου "κριτικη" στο goodreads,ακριβως επειδη με ειχε συγκλονισει τοσο .το ιδιο συγκλονιστικο ειναι και αυτο το 2ο βιβλιο της, το οποιο αν επρεπε να πω για ποιο πραγμα μιλαει, θα ελεγα οτι αυτο ειναι σε ποιο σημειο ειναι διατεθειμενοι να φτασουν οι ανθρωποι προκειμενου να μην αντιμετωπισουν την αληθεια.ειναι διατεθειμενοι να πιστεψουν στα παντα για λιγη ψευδαισθηση.σε νεράιδες και ξωτικα ακομη.κατι το οποιο ακουγεται περιεργο ή και αστειο , μεχρι να καταληξει επικινδυνο και τραγικο για τις ζωες ολων των εμπλεκομενων..